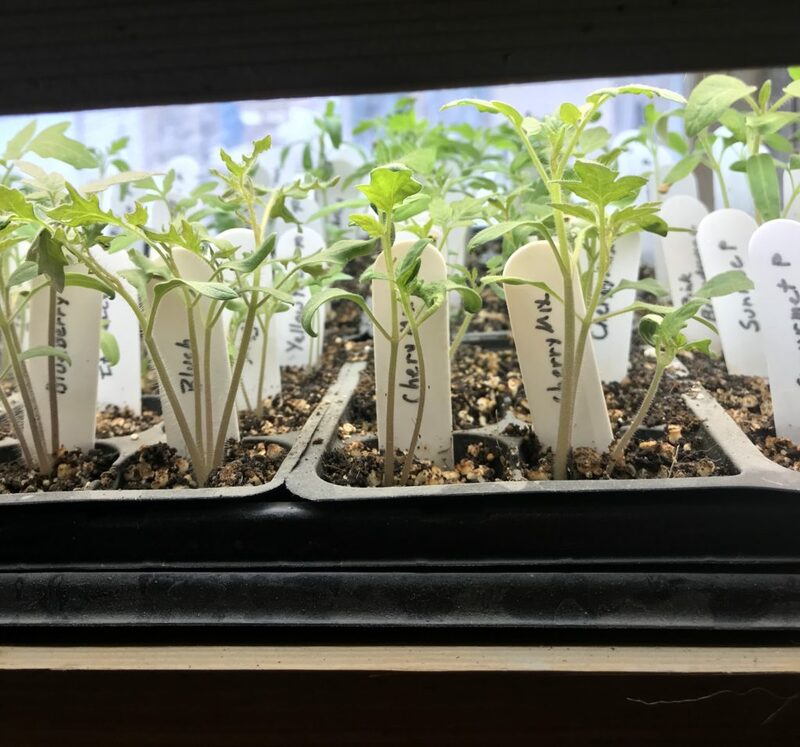 All of the first seeding of tomatoes and peppers are doing fine and getting stronger everyday. In a few more weeks it’ll be time to pot them and eventually moving out to the greenhouse for finishing. The second seeding of back up plants is just starting to germinate (started two weeks after the first). Any that aren’t needed will be gifted to others once it’s warm enough to transplant outdoors.